In the UK, which is among the greatest places on Earth, they have this term called "Lad Lit." It doesn't take a Comparative Literature major to figure out that it refers to the male equivalent of "Chick Lit." Like a lot of writers, I sometimes take myself too seriously, and I've been known to get all prickly and self-righteous in the face of labels. But...whatever. I'm a youngish guy, my main characters have all been youngish guys, and who the hell am I to question the word choice of the very people who brought us William Shakespeare, Nick Hornby, Mick Jagger, and Love, Actually? 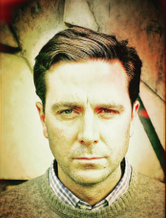 Click here to read my Q&A with British author Steven Scaffardi on his Lad Lit Blog. And, be sure to check out Steven's books on Amazon. I just finished We're All Damaged and loved it. It's laugh out loud funny (over and over) and subtly poignant without being sticky. Well crafted language and wonderfully detailed - I could SEE everything - every speck of glitter - every paint splattered squirrel. All the stories were nicely resolved, but I wanted to mention that I appreciate how Henry's last thoughts brought that story line to a satisfying end - thank you. Daisy deserved that. As a 50 year old woman - not exactly a lad - I agree with you: labels like that are annoying. Your title says it all. Still, take any publicity you can get. This book deserves to be a hit. Best of luck and keep writing. I'll buy the next one too. 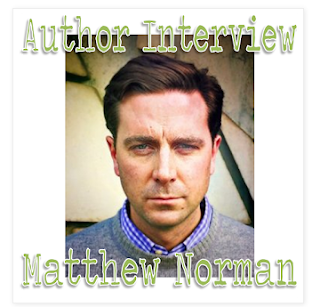 Matthew -- Just a quick comment to tell you how much I love your writing. 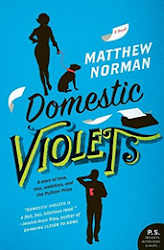 I can't remember how I discovered Domestic Violets, but once I read it, I knew I had to pre-order We're All Damaged. Moments ago I finished it, and it was fantastic, too. Love, love, love. Looking forward to your next one. Thanks, Susan. The next one is up and running...coming along reasonably well. Reading Domestic Violets. I love it. I am a new and absolutely loyal fan. Thanks, Laurie. Glad to have you on board. Say hello to Tom Violet for me. Love the humor and the 'realness'(is that even a word?) of your writing! I really liked the way Daisy helped us all realize that it's OK to feel sad about relationships lost, that it's actually a healthy part of getting through the loss. Loved how you wove that bit of wisdom into the story without being preachy. Touching and funny. Loved it! Thanks, Diane. I think "realness" is a word. If not...it's close enough for me. 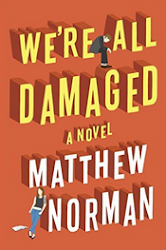 I found We're All Damaged while browsing through Amazon's new releases, read the description, and thought I'd give it a shot. I started reading while I was traveling, and I can't tell you how hard it was to keep my laughter under control on a crowded airplane. I loved it, and had a difficult time putting it down. Everytime I imagined Andy, I saw Zach Braffs character in Garden State. Several times while reading this I went through little "montages" of past relationships, and heart breaks. It was easy to connect to, and made me sad when it was finished. Kind of like that somber feeling when you end a vacation, and have to return back to real life. Anyways, now I suppose I'm going to have read Domestic Violets. Happy to hear you've got more in the works. Thanks, Jesse. It's basically my goal as a writer to make people laugh on airplanes. Whenever I hear that, it makes me happy. Hope you like DV, too. I love your first book, Domestic Violets. Truly love it. It is hilarious and so real. I never feel this way when I finish a book, but I want to go back to the beginning and start over! Thank god I just downloaded your new book, We're All Damaged. I'm trying to wait to start it until Monday, when I leave for a trip, but I'm not sure I have that much self control. I can feel my Kindle staring at me, willing me to start reading it. Hey, Amanda. Thanks. That's fabulous to hear. Hope you like the new one. Let me know.